Alcoholic drinks shots usually refer to spirits or liquor. Maybe surprisingly, the size of the alcohol shots are not the same. 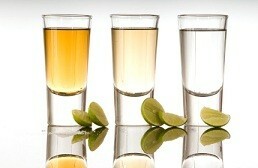 There are either two or three types of alcoholic shots: small, single and double. This varies across each country. Remember the calorie content will differ based on the drink you have chosen and its size. Really, if you are looking to lose weight you should stay away from alcohol completely. See below a table showing the measure of the drink shots in different countries for small. single and double shots. *Except in Utah, where a shot is 1.5 fl oz.